Military inspired and so tough, they may just well be military grade too. 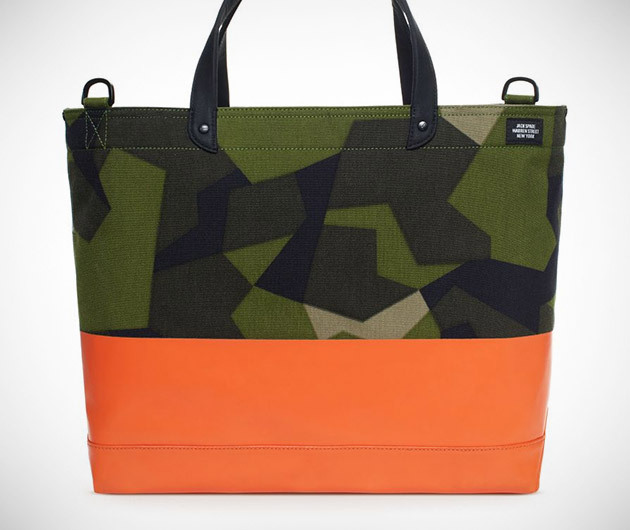 A very cool travel gear range, the Jack Spade Swedish M90 Camo Bags are constructed from that most durable of material, Cordura, canvas lining, wax wear, reinforced straps and sturdy bottoms. The camouflage pattern is so effective in fact that they've had to add orange trim so you don't lose sight of them when you put them down.